With Winter upon us, I thought it might be fun to see what Cellarmaster Frans Smit have been doing with Spier Reds. 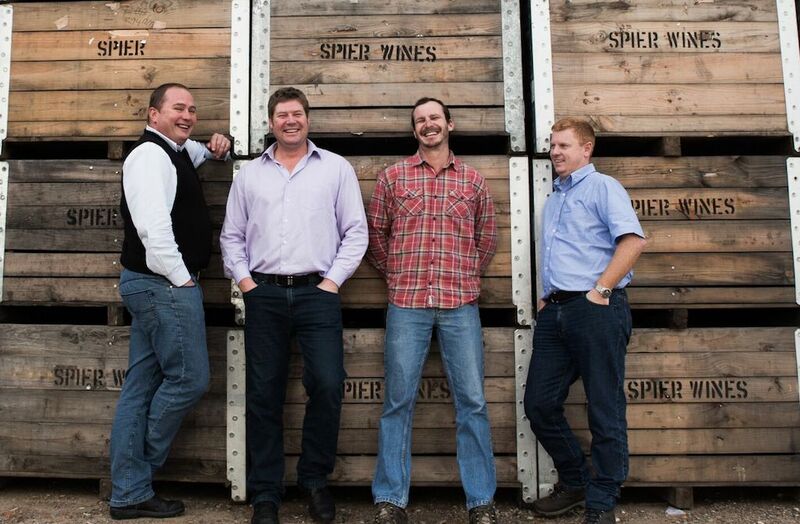 They are a very exciting team with access to fine grapes from a number of different Wine Appellations which all adds to the flavours and fun of Spier Wines. The Spier Creative Block 5 2014, called 5 because it is a blend of the Big 5 grapes which have their origins in Bordeaux. The blend is made up of Cabernet Sauvignon 59%, Merlot 26%, Cabernet Franc 6%, Malbec 5% and the power puncher Petit Verdot 4%. The grapes, grown on decomposed granite with a clay subsoil, come from Groenekloof which is part of the Darling Wine Appellation and Stellenbosch. 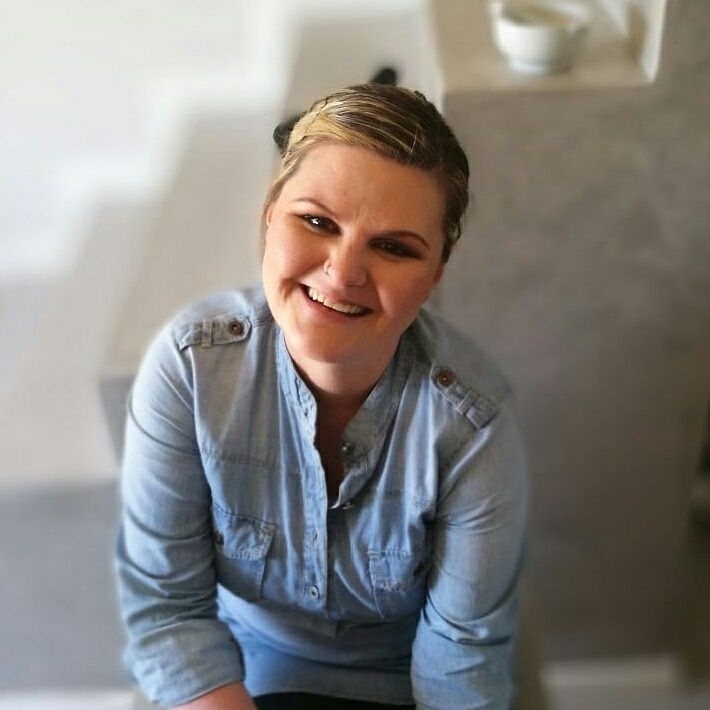 One thinks of Darling as being a warm area, truth is that it is cooled by breezes off the Benguela Current which runs up the West Coast from the cold southern Atlantic Ocean. In the cellar Johan Jordaan and his team chill the hand harvested grapes which are later destalked and then berry selected to ensure that only the finest berries go through for fermentation in stainless steel tanks. The grapes are separately vinified for later blending. Malolactic fermentation took place in 300 litre French oak barrels of which 60% were first fill, 40% were second fill. Continuous tasting of the barrels determines the final blend which has the perfect balance qualities, great fruit, good mouthfeel and volume, oak and its concomitant spices and the cashmere driven tannins. The wine is then prepared for bottling. From a Bordeaux shaped bottled with a natural cork closure. Elegant modern Spier label depicting a large 5. In the glass, a deep bloodplum red which pales out to ruby at the edges. The aromas are so typical of this style of wine – masses of berries, oak undertow. From entry the wine is exciting, a golden thread of acidity, the generosity of berry and plum fruits. There are beguiling tastes of dark chocolate and licorice. While 4 years old now and very accessible, this wine will improve if well cellared for a couple of years. Good glass on its own after dinner with a bar of dark chocolate watches the fire embers die down. 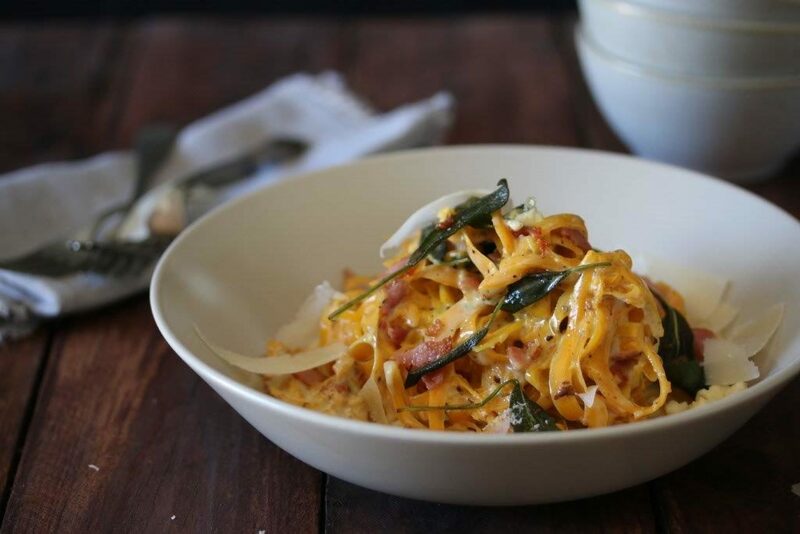 Fabulous with food from any number of res meat dishes to lust vegetarian main courses like Aubergine baked with Parmiggiana Reggiano, sundried tomatoes and mushrooms. 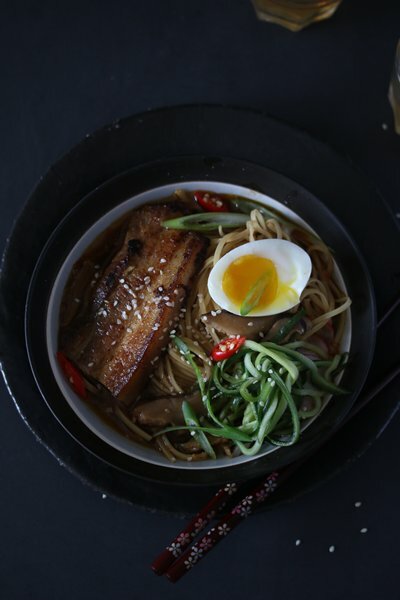 Carey Boucher-Erasmus’s Pork Belly with Ramen, is a perfect partner and her recipe, click here, will introduce you to a new food type if you have not already tasted Ramen. The Spier Signature Cabernet Sauvignon Merlot Shiraz 2016 is one of the Spier Reds which is what it says it is. 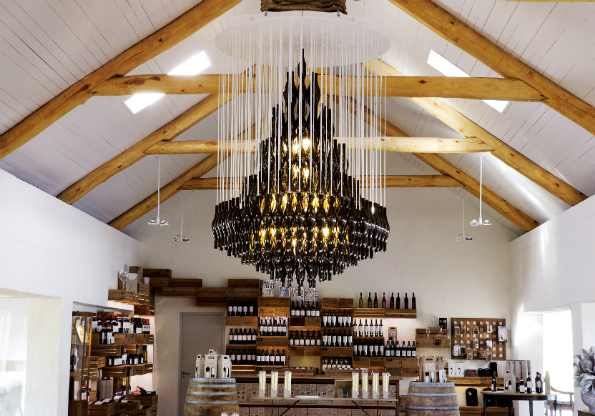 A signature wine from Spier, made by Johan Jordaan and his team. Made up of 40% Cabernet Sauvignon, 40% Merlot and 20% Shiraz grapes which are of Western Cape origin from the Paarl, Swartland and Stellenbosch Wine Appellations. The vineyards are planted on north east facing Clovelly, Hutton and Estcourt soils, they are trellised and between 15 and 17 years old and received supplementary irrigation only. The production was an even handed 10 tons per hectare. Hand harvested grapes were destalked and then crushed and cooled. The mash was then cold soaked for two days and then fermented dry in stainless steel tanks during which time three pump overs took place each day. The wine was then matured on French oak staves in stainless steel tanks for 10 months before blending. Bottled under screw cap in a Bordeaux shaped bottle with the elegantly simple Spier label. I the glass, it is a gem bright dark ruby red which pales out towards the edges to purple garnet. Whiffs of raspberries and plums on the nose, with the oak supporting the fruit. Very well structured and balanced palate with a generosity of fruit running through a broad mid palate into a long well integrated fruit acid, oak and its concomitant spices and cashmere tannins aftertaste. Long and gently waning flavours. A ‘go to’ if you are having red meats for lunch or supper. 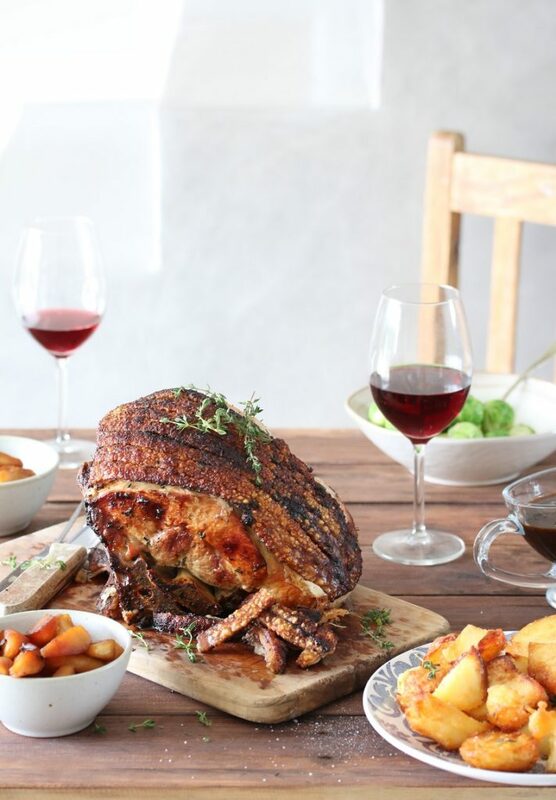 The traditional Sunday Roast lunch will partner it perfectly as well as a well-cooked midweek supper. Carey Boucher Erasmus’s Butternut ”Linguine” with Blue Cheese Sauce, Crispy Bacon & Sage is a great match. Click here for her recipe. Also a fine Spier red from Johan Jordaan and his team, the Spier 21 Gables Cabernet Sauvignon 2014 is a flagship of excellence from the Estate. The grapes for this sublime wine are grown in an 11 year old vineyard planted on decomposed granitic soils on the slopes of the Helderberg, well known for producing fine reds with the breezes off False Bay cooling the vineyards in the afternoons, ameliorating the summer heat. The grapes were hand harvested and taken to the cellar where they were destalked and then berry sorted to ensure that only the finest ripe grapes go through to the wine making process. Fermentation took place in both stainless steel and open top oak fermenters for an extended period of 36 days. The wine was then taken to all new French oak barrels for 26 months. The final wine was then blended from the most perfect barrels to create a perfect single vineyard wine. From a Bordeaux shaped bottle closed with a natural cork closure. Very elegant ‘calligraphied’ 21 Gables label. There are in fact 21 Gables on the Spier Estate. In the glass, a deep opaque ruby plum at the core which pales out to a gem bright ruby garnet at the edges. On the nose, you get the classic Cabernet blackcurrant and elderberry, the oak supplying the pencil graphite and toasted brioche. The palate is full and generous, with bright fruit and a lovely sappy rich finish. I always feel that a truly lovely wine like this is so good as an after dinner botte when you don’t want the evening to come to an end because you haven’t yet discussed the latest rugby scores. This is a grand wine which will match your favourite dinner dish, a roasted stuffed shoulder of lamb as well as a mid-week supper dish. Carey Boucher Erasmus’s Roast leg of Pork, Hanepoot apples and Crispy Duck Fat Potatoes is made for this wine. Click here for her recipe.